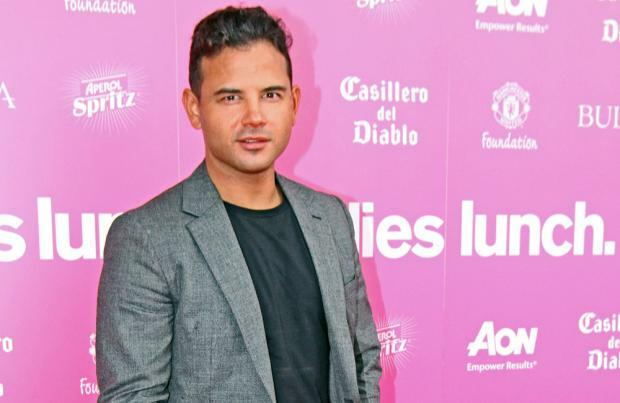 Adam Thomas' brother Ryan thinks 'I'm a Celebrity...Get Me Out of Here!' is fixed. The former 'Coronation Street' actor lashed out at the creepy-crawly show after his 28-year-old sibling finished third place in Sunday (04.12.16) night's finale, despite proving a huge hit with viewers over the past three weeks he's been in the jungle. Taking to his Twitter account after it was revealed Scarlett Moffatt - who went on to win the show - and Joel Dommett had made it to first and second place, Ryan fumed: "Not having it!!!! Absolutely gutted!!! Doesn't make sense!!! (sic)"
The 32-year-old hunk subsequently retweeted a series of messages from his celebrity pals and fans of the show that supported Adam. 'Coronation Street' star Tina O'Brien wrote: "Are you actually kidding me?! @adamthomas21 didn't win! UGHH at least he gets to be with his family (sic)"
And former Blue singer Antony Costa explained: "Thought it was a no brainer fella...your bro has done so well though (sic)"
But the girlfriend of Ryan and Adam's brother Scott, Kady McDermott, went one step further by claiming the programme was fixed from the beginning. She wrote in a now-deleted post: "Fix. Good night. (sic)"
She later added: "They knew their winner before the show even started... Anyway he's the winner in our eyes he did AMAZING!!!! #KingAdam. (sic)"
Meanwhile, Scarlett may have lifted the crown but she has found herself in hot water after she claimed she had a severe phobia of small spaces - even though there are numerous photographs of her standing in a confined lift on her Instagram page. During her time in the Australian jungle, Scarlett said she hoped that her final Bushtucker trial would help her get over her fear. But as she was covered in creepy crawlies during her final trial, the 'Gogglebox' star said: "I can feel myself getting upset. "But I feel if I can do this I might finally be able to go in lifts because I was on the 34th floor out here and I walked the stairs because I can't stand small spaces."